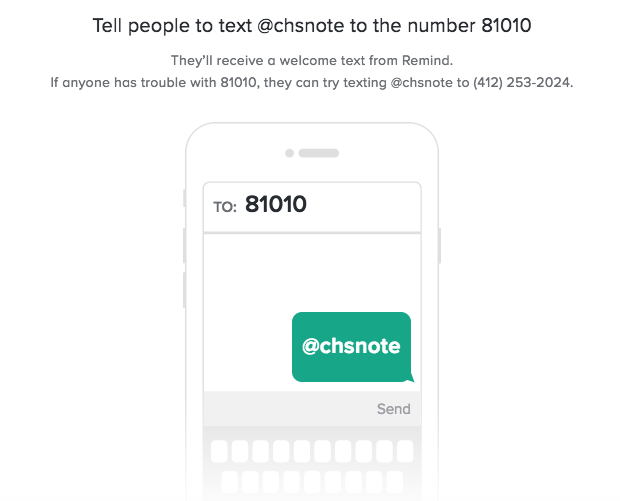 In case you haven't signed up for my text reminders, here's how you can be added. This is my high school announcements account to hear about school closings, reminders or schedule changes. You can remove yourself from the account at anytime by replying with the message, "@leave". It's not often we cancel school ...two days in a row! We'll use this second day to remove snow from each of the four school buildings and will be ready for students to return on Thursday, January 26th. Be safe scooping, watch for snow removal equipment and drive carefully! On Wednesday January 11th, fourteen National Honor Society Seniors attended a celebration day in Rapid City, South Dakota, in recognition of the accomplishments. The day in Rapid City was spent by first enjoying a delicious dinner at the always great Olive Garden, later shopping at the Rushmore Mall. As the day went on, students attended Flags and Wheels, an indoor racing and gaming facility. Reball, an alternate form of paint ball, was enjoyed greatly by the students and staff who went along on the trip. Each student had the opportunity to ride a go-kart and enjoy a few laps around the track. To top the fun off, students enjoyed a dinner at Pancheros and a RUSH hockey game. The group was seen many times on the big screen at the RUSH game and even got to pose for a picture on the ice after. The RUSH won 3-1. Lorrie Bauer, Willie Uhing, and bus driver John Morford made this trip possible and created a fun and exciting day for the students. A new tradition began for Mrs. Lanphear’s sophomore and junior English classes. Students walked to the Chadron State College (CSC) campus to celebrate the life of a great leader in America’s history. 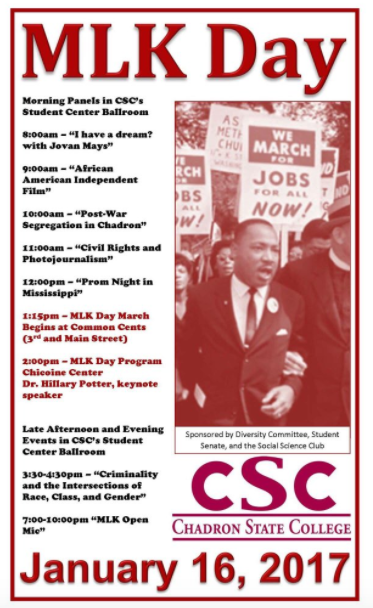 To start the day, Jovan Mays, a very passionate speaker and poet concerned with inhumane treatment and equal rights of all, presented at the CSC Student Center on January 16, Martin Luther King Jr. Day. His presentation was titled, “I Have A Dream?”, in which he questioned the complacency of Americans. Complacency is defined as being satisfied with a situation that could be changed, or simply not taking action. However, he also discussed non-complacency, and how speaking out against racism can be taboo. Mays encouraged Americans, and specifically audience members, to take action. He continued, explaining an example of what he called the “bomb effect.” The bomb effect is how one reacts to a dramatic change or a dramatic situation. Equal rights, according to Mays, is everyone’s responsibility. Jovan Mays’ emotional spoken word poem about his two young nephews opened listener’s minds to how we should carefully word things and how we should interact with each other. Overall, students found the presentation thought provoking and informative. At noon, Dr. French, a CSC communications professor, shared a 2010 documentary entitled Prom Night in Mississippi. This documentary was about the town of Charleston, Mississippi and how community members faced racism in the deep South. Racism was embedded in their culture, and remains so today according to Dr. French. Based on information provided in the documentary, it seemed parents were against interracial relationships. In an attempt to ease the racial tension, Academy Award winner and famous actor Morgan Freeman returned to his hometown (Charleston) to sponsor an integrated prom in an effort to bring the community together. Although the thought of an integrated prom excited most students, the idea failed to impress older generations. Parents of white students arranged an in-home meeting where they decided to sponsor a white-only prom. Soon after the meetings between the parents and students, and Morgan Freeman and students, tensions erupted between classmates of different ethnicities. Dr. French paused the film and asked for audience feedback. One man talked about his shocking experiences in the deep South. Another articulate audience member recounted her experience with white parents pulling their students out of the newly integrated schools in the Delta. CHS students returned to their classroom to discuss and reflect on the presentation by Dr. French. One of the final sessions of the day was a community event located in the Chicoine Center. Many students from Chadron Public Schools attended the event to listen to Jovan Mays, Dr. Hillary Potter, and the Chadron Cardinal (senior and junior) Singers. Aurora, Colorado resident and poet laureate, Jovan Mays presented a poem expressing his views on racial discrimination. His tone was serious and strong, imploring and asking audience members to ponder Martin Luther King’s dream and how King could remain optimistic during troubled times. During his poem, Jovan shared the line: “Forget dreams, I’d have nightmares,” an idea which stayed with many of his listeners. The following speaker, Dr. Hillary Potter, a college professor from the University of Colorado in Boulder, mentioned that Dr. King had been arrested thirty times over the course of his life. Dr. Potter asked us to never accept social injustices. She claimed, “We don’t have to be divided.” The song, “We Shall Overcome,” was performed as a transition between speakers. Overall, the high school students enjoyed the opportunity to participate in a community event to remember Martin Luther King. Noon Dismissal - Friday, Jan. 20th! 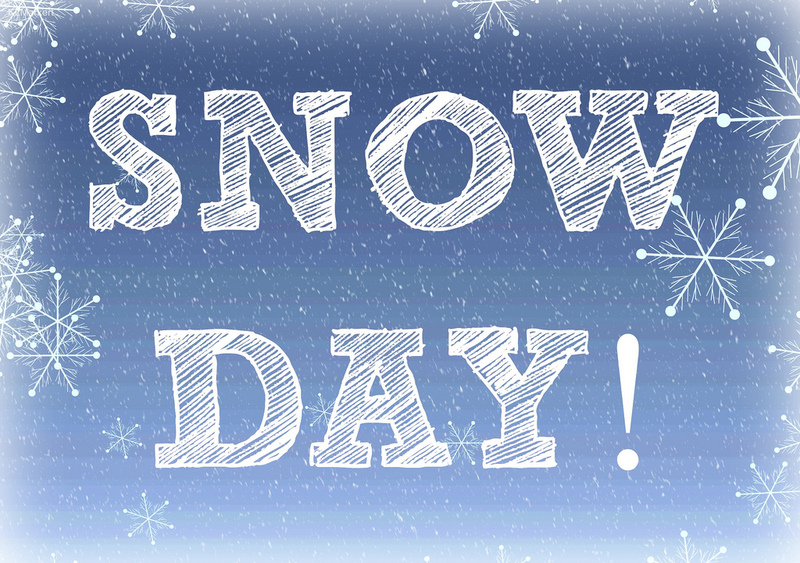 Just a reminder that all grades K-12 will be dismissed at noon this coming Friday, January 20th. Are you a Nebraska parent of a child with special needs? Then this conference is for you! No registration fee! Two nights' lodging and most meals furnished! The purpose of PEP is to bring parents of children with disabilities together in an accepting and confidential environment, giving them the opportunity to share ideas, feelings and common concerns, and to obtain information on parenting and educating a child with a disability. Parents will go home with renewed energy, hope and a desire to work closely with professionals who serve their child so that every child can experience the fullest life. This conference is open to all Nebraska parents who are raising a child with a verified disability. The child must have an active IFSP/IEP. A small number of openings are reserved for education professionals who serve children with disabilities and are employed in NE school districts. Professionals will experience PEP from a parent perspective. To register: First read the Guidelines for Participants. Then complete the registration form available online here. To view the complete brochure, click here. For married couples, both spouses are required to attend the conference together for maximum benefit. Single parents are welcome to bring a support person that shares responsibility for raising the child with a disability and is actively involved in the child's education. On Wednesday January 10, students from the Chadron FFA chapter traveled to WNCC in Scottsbluff for their first CDE (Career Development Events) contest of the year. Chadron FFA, along with other District 12 FFA chapters, competed in four events: Livestock Management, Welding, Floriculture, and Ag Sales. Students have been preparing for this contest in their study groups for over a month. Chadron FFA walked away with plenty of hardware and qualifiers for the state convention in April. Students on the Ag Sales team were Dadriana Serres, Renee Redfern, Pamela Fisher, and Shannon O’Rourke. Dadriana received an individual red ribbon. The team did not place high enough to qualify for state. We are so proud of them for competing yesterday, as this was only our chapter’s second year competing in Ag Sales! Students on the Floriculture team were Madison Cogdill, Megan Tidyman, MiaKayla Koerber, Hailey Watson, and Evelyn McEwen. Megan received an individual white ribbon, MiaKayla received an individual red ribbon, and Hailey and Evelyn both received individual blue ribbons. Overall, the team placed third at districts and will compete at state in April! This was the first year Chadron has qualified a Floriculture team for the state convention. Students on the Welding team were Michael Collins, Joe Matt, and Bucky Cattin. Michael received an individual red ribbon for Mig welding. Joe was the district champion in Oxy acetylene welding, receiving a purple ribbon and a welding helmet! Bucky was the district champion in arc welding, also receiving a purple ribbon and a welding helmet! The team received second overall and will compete at state in April! Students on the Livestock Management team were Beau Jersild, Drew Jersild, Cody Madsen, Hunter Hawk, Katie Lewin, and Alexys Fernandez. The group completed seven different stations as a team. The stations were beef, dairy, poultry, horse, swine, sheep, and a test over all the species. As team, they did not receive a ribbon for the test. They were tied for fourth in sheep, but after the tiebreaker, received fifth. They received second place and a blue ribbon in poultry and horse. The team was district champions in beef, dairy, and swine, receiving a purple ribbon! The overall score is determined based on the points of the stations combined. Overall, the team was district champions and qualified for the state competition in April! Chadron FFA has been district champions in Livestock Management for the past two years, making this their third consecutive Livestock Management district championship and trip to state! Last year at state, the team received third place overall. We are extremely excited to see how our teams will compete at state and are so proud of what our chapter has accomplished in such a short time. Our next competition will be in February, where we hope to bring home more hardware and state qualifiers! Thank you to all of the people that support our chapter and offer their expertise. We really appreciate it. State Testing For High School Has Changed! Nebraska developed NeSA (Nebraska State Accountability) tests years ago. At the high school level, only grade 11 students are tested to provide important information about each school's ability to teach curriculum standards. Of course, Chadron High School has gained an academic reputation due to high test scores each year. 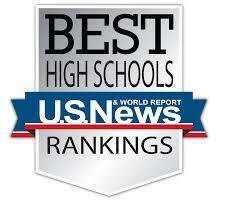 For example, last year Chadron High School had the 3rd highest Reading scores among all Nebraska high schools. However, high school accountability is changing! This spring, we state legislation has replaced the NeSA testing for juniors with the ACT test. Schools have the option to make this change this school year, but it will be mandated by the following 2017-2018 school year. Nebraska law requires the state to cover the costs, which are relatively the same as the NeSA testing. This is the same ACT used nationally for college admissions and consists of: English, math, reading and science. State testing for juniors will take place during the morning of April 19th and takes about 3 1/2 hours, including the writing test that Nebraska will adopt. When students register for the ACT they can select a college major that they intend to pursue form a list of 294 possibilities. When test scores are reported, the state will be able to collect data on the most popular majors among Nebraska's students as well as college-readiness of students for those majors. April 19th will be a paid opportunity for students to take the ACT. Of course, many students continue to choose to take the ACT multiple times since only the highest ACT Composite score is recorded for college application. Hope this letter finds each of you and your families enjoyed the Christmas break! We are writing to let you know the 2016-2017 Chadron Public Schools Health Screenings will be held on January 18 and 19, 2017. January 18th will be 1st, 2nd, 3rd, and 4th grades and January 19th will be 6th, 7th, 10th and 11th grades. These are routine school days so we will be pulling your child’s class for a short time to complete a vision screening (provided by Lions Club), a hearing screening (provided by Lions Club), dental screening (provided by CAPWIN dental) and Blood Pressure, Height, Weight and BMI (body mass index) screenings. These screenings are not only a requirement by the State of Nebraska but also very important in early diagnosis of potential barriers in a student’s ability to learn and grow! If you do not want your child/ren to participate in the free screenings, you will need to come to the school and sign a waiver. Due to the screenings being a state requirement, we will need you to provide the school with documented results from your private provider (hgt, wgt, BMI and BP), from your private eye doctor the results of a vision screening, from your private dentist the results of a dental screening and from your private hearing specialist the results of a hearing screening by March 1, 2017.